WE PROVIDE INSTITUTIONAL AND PRIVATE LOANS. "Don’t hassle with cyclical investments. Get the steady returns you deserve." Now that you have discovered DCI, you have found a mortgage company that not only provides better rates than your bank, but offers you more options and lending flexibility. We believe that all borrowers deserve access to the best options available. Whether you own property for personal or business purposes, DCI is committed to getting you the best results possible. Our company provides great options for trust deed investments. DCI has a proven track record supporting excellent performance and returns. We maximize on your current risk tolerance to offer you our best our lending services. Seeking a career in the field of Economics, John entered the mortgage industry in 2001. He worked for a mortgage broker in Monterey County, and later with a mortgage banker in Silicon Valley. In 2007, John began originating private loans in addition to institutional loans. John later launched DCI during the recession of the late 2000’s, focusing on private loan origination and trust deed investments. 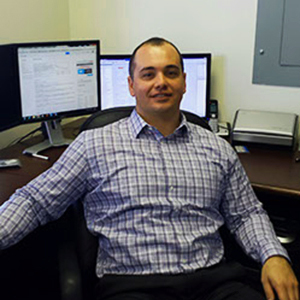 Starting in 2012, John began implementing institutional lending at DCI. While president of DCI John is also a member of many local business associations, such as the Chamber of Commerce and SILVAR along with many others. Our company consults many people in the community for feedback on providing real estate finance. Niche loan products are not available through most of the industry. Some of these products include private money not available through institutions. Other niche loan products include institutional financing not available through mainstream banks. Click to open a PDF of our residential & commercial lending matrixes. Providing innovative services to optimize and ease loan process for the borrower. Rates competitive with larger institutions. At DCI, we shop over 60 banks to find the most competitive rates for borrowers seeking conventional or government financing. DCI will help you make the most aggressive offer possible to acquire your investment property. We will provide you with the best leverage options available, so you can focus more of your finances toward improvements. Our company provides competitive rates, providing you with most efficient cash flow. Since multifamily was the main lending category for starting DCI’s investment and bank relationships, we are determined to provide many options to multifamily borrowers. DCI provides both institutional and private money for single family home loans. If you’re not sure the bank is giving you the best offer, DCI will shop over sixty banks and investors to make sure you have the best opportunities available. In addition to low rates, DCI offers excellent flexibility. We can help improve credit borrowers who are recovering from short sales, foreclosures, and bankruptcies. DCI can effectively finance ,office,retail,mixed-use property types. Our lending access results in maximum cash flow situations for investment and owner-user borrowers. DCI provides financing in more questionable value commercial markets, at competitive rates for borrowers who want to use property income as repayment. Most banks focus on an owner’s personal finances in this lending category, but at DCI we provide options that consider only property income. DCI finances automotive and agriculture property owners Automotive property owners are often left with few options from the banks. DCI’s overall commercial property lending exposure provides you with better rates and more flexibility than most lenders. Agriculture property financing is usually fueled by local banks. Our relationship with the local banks will benefit agricultural property owners. We can provide options from investment banks looking to enter new agricultural property markets. Like all other property types, we provide financing to help farmers who may be recovering from bankruptcy or foreclosure. Many people are interested in fixed income returns. At DCI we realize that IRAs, Cd's, and some 401K's currently seem like more of a liability than an asset. Many people prefer notes and trust deeds over buying property. Trust deed/note investments deliver a cash flow yield and involve a lot less hassle than managing property. Many investors also select using self directed IRA's to maintain IRA benefits to invest in trust deeds. At DCI we know liquidity is important piece of financial planning to investors. Because trust deed investments are traditionally illiquid, we invite investors to learn how DCI is delivering liquidity features to trust deed investments. These liquidity features allow investors to exit early in a declining market. In addition to property equity, DCI carries insurance and maintains assets for potential recourse situations. Along with equity, borrowers are required to have sufficient income in order to repay the loan. We invite investors to learn how our underwriting system results in an excellent performance record. At DCI, we know liquidity is an important piece of financial planning to investors. Because trust deed investments are traditionally liquid, we invite investors to learn how DCI is delivering liquidity features to trust deed investments to allow investors to exit early in a declining market. DCI is able to customize a trust deed program for any investor geared to their business background or preference. DCI can provide both long and short term options along with any level of risk preference.